This is so simple and fast, under 5 minutes. 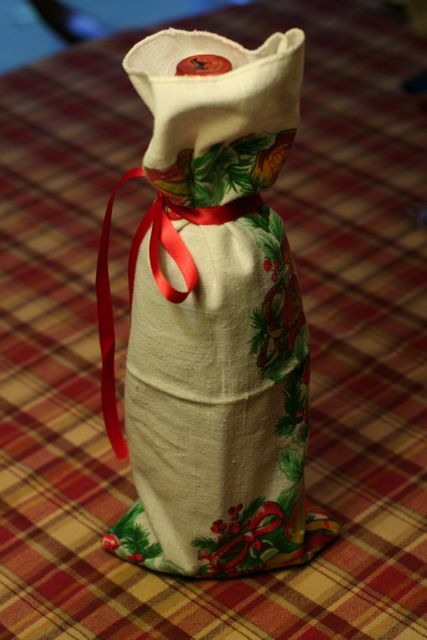 You can use this for your wine or sparkling cider. 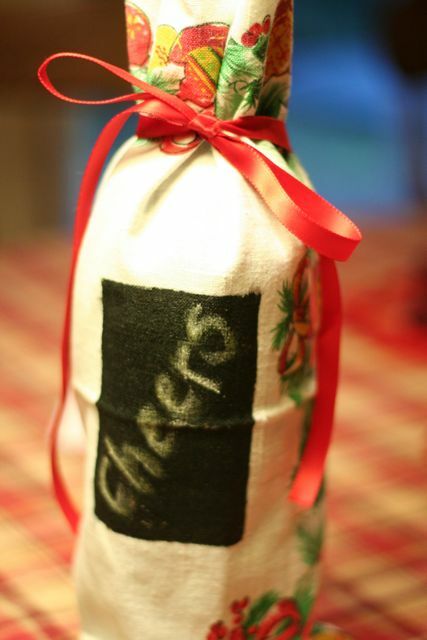 Great way to wrap up the gift of drink this Christmas! 1. 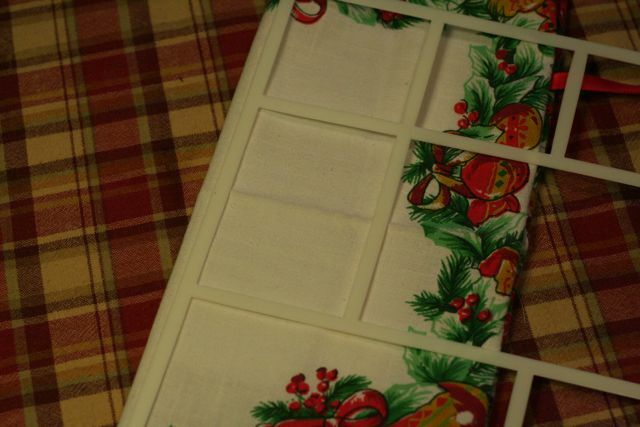 Fold the napkin in half, right sides together. 2. 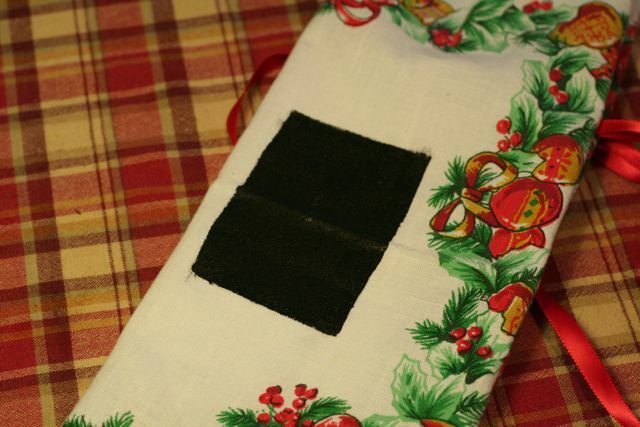 Pin the ribbon onto the side, making sure to have the ribbon ends on the inside of the bag. 3. 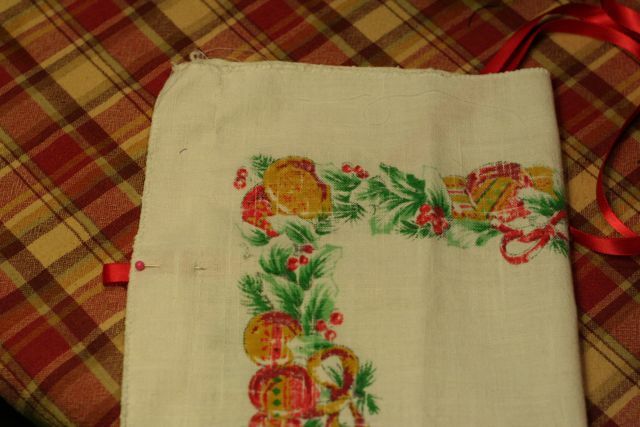 Sew all the way down the bag and around the bottom, leaving the top open. And there you have it! Super easy and super cheap! You can stop there or you can take it a step further and use some chalk board paint and do what I did below. Use a template, oval would be better, but I didn’t have one. Using chalkboard paint, paint in the template of choice. Let dry and its ready to write on. 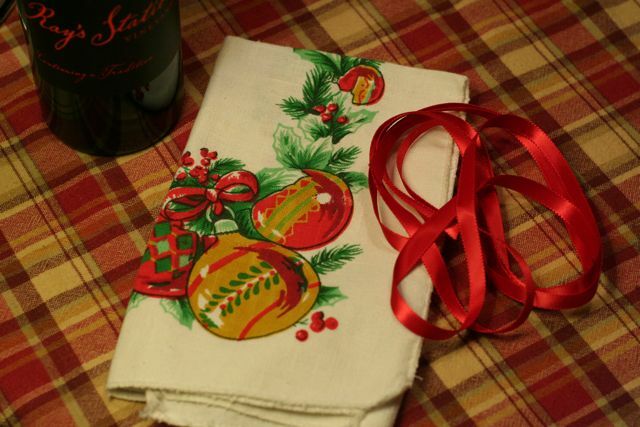 This entry was posted in Check this out!, Christmas, DIY, Holidays, Recycled, repurpose, tutorial on November 18, 2010 by Deanna.